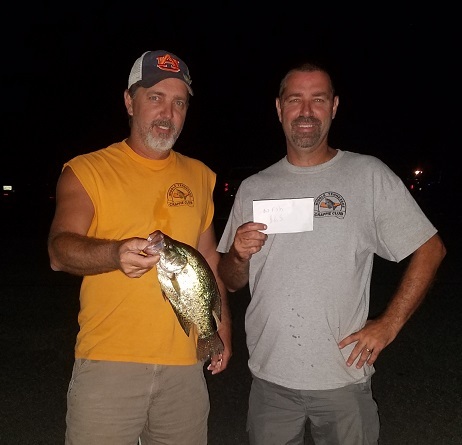 July 2018 Night tournament results. Thread: July 2018 Night tournament results. 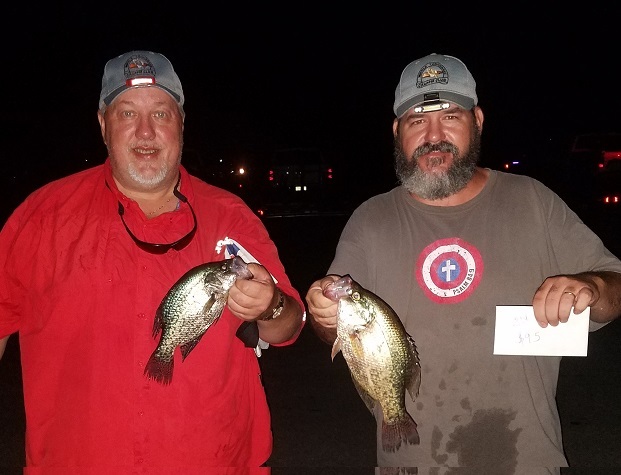 Jamie & Roger Johnson won with 7 fish weighing 7.03 pounds. 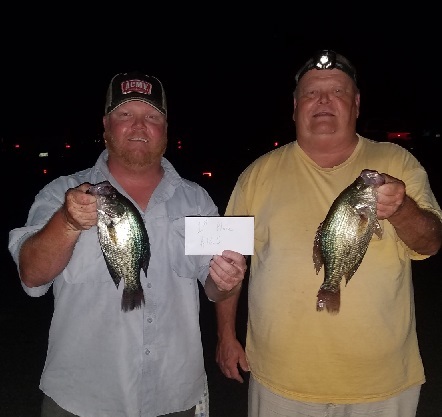 Toby Ivey & Matthew Nash came in 2nd with 7 fish weighing 6.26 pounds. 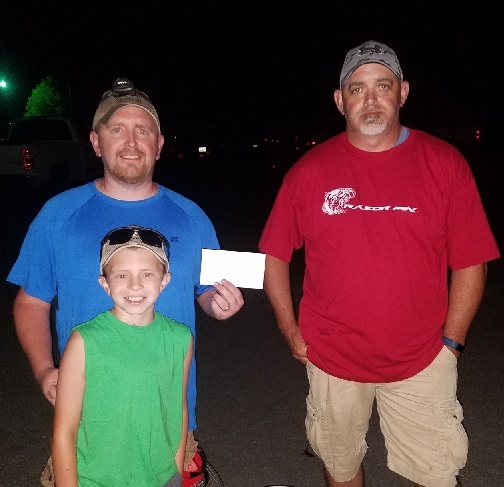 Kevin Crittenden, Hunter Crittenden & guest Howard Cambell came in 3rd with 6 fish @ 4.47 pounds. Coby/Rodney Edwards took big fish which weighed 1.66 pounds. Coby gets the extra point.